The Seventh Cross is not a new book, at least not in the usual sense. It is a new translation of a book written by Anna Seghers, an author from a Jewish family that had fled Germany and was living in Paris in the late 1930s. The book itself, written before the start of the Second World War is not about that war or the Holocaust. But Seghers could see all of these coming and her novel allows readers to trace a line from the totalitarian, anti-semitic, fascist attitudes of the mid-1930s to the Germany that plunged the world into war less than five years later. 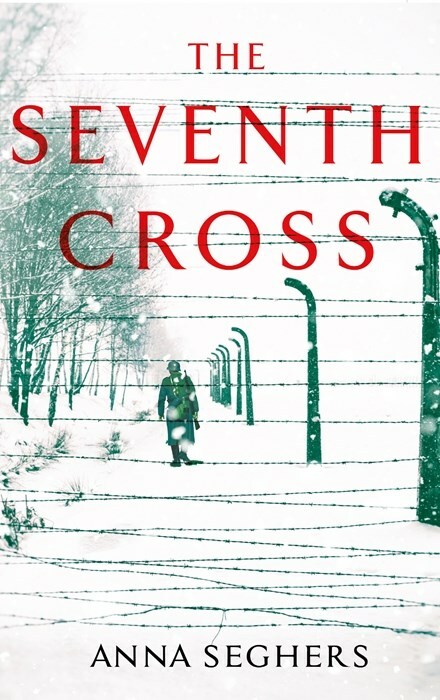 The Seventh Cross is set in 1935 and centres around an escape from the concentration camp. The camp had been established to punish political prisoners. Although it turns out that the definition of a political prisoner is anyone who the local authorities don’t particularly like. Seven men escape and, as they are recaptured they are strung up against a row of trees at the entrance to the camp as punishment and warning to others. These are crosses of the title. The seventh cross is reserves for George Heisler, the escapee that Seghers spends the most time with. Seghers uses her narrative to show the changes wrought on German society by the rise of the Nazi Party. The young men in uniform, drunk on their own version of power, the atmosphere of conformity where young people would ‘inform’ on their parents if they were suspected of being enemies of the state, the arbitrariness of the law, with people being pulled in an questioned in Kafkaesque interrogations in which there is no right answer, the almost casual and callous anti-semitism. It is, in a quiet way, a terrifying exploration of human behavior. That George is not a particularly good person is established fairly early on in the narrative. And yet still the reader comes around the supporting his bid for freedom. Seghers shows through his travails both the reach of the police state to stake out all of his old associates and the ingenuity of some of those people to avoid detection and work through a loose network to support him. Many of these are people who know they too will end up either dead or in the camp if they are found to helping the escapees. And Seghers leaves nothing to the imagination as she follows the fates of those who try to help some of the other escapees. The Seventh Cross is not only an important historical novel it is a timely one. It shows how a whole society can be turned by the lure of fascism. How strongarm tactics and fear can cow and repress those who try to swim against the tide. While the modern dystopias like The Handmaid’s Tale try to imagine a world like this, Seghers and her family lived through it and her story is all the more powerful for that.